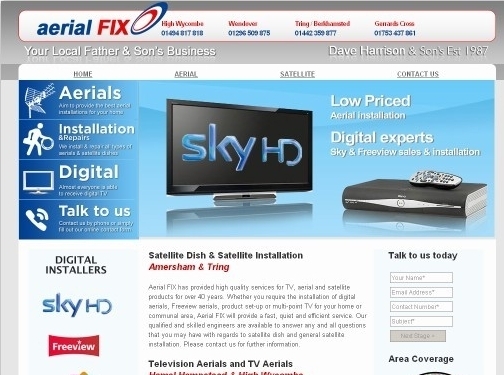 Aerial Fix provide a range of quality aerial and satellite installation services across Hemel Hempstead, Berkhamstead, Wendover, Amersham and surrounding areas. UK (High Wycombe, Buckinghamshire) based company - with over 40 years' experience - providing aerial and satellite installation services. Website includes details of services provided, associations belonged to, geographical areas covered, full company contact details including company registration number.